From brushes to beauty blenders, there are so many different ways to apply your makeup these days. Some of you more natural beauties might just use your fingers, but for those of us beautiful babes that choose to use tools, here is a DIY solution you must know! Mix these three ingredients together in a glass. Throw in about 3-5 brushes at a time and let them soak for a couple minutes. The super hot water in the glass is going to kill germs and help to break down that makeup that is gunked on the hairs of your brushes. Swirl the brushes around and briskly swish them in an up-and-down motion. Watch the water turn murky with makeup, a gross yet, satisfying site to see. I then remove the brushes and with a small dollop of soap in my palm, rub the brush bristles around in my hand. Here you will see any remaining makeup come off in the suds, keep rinsing until water runs clean. Finish up by giving them a couple hefty taps on the side of the counter and lay out on a towel to air dry. I repeat this step with a new glass of solution until I make my way through each of the brushes. This can also be done with your beauty blender. Repeat weekly for optimal cleanliness! Many beauty brands offer spray brush cleaners. 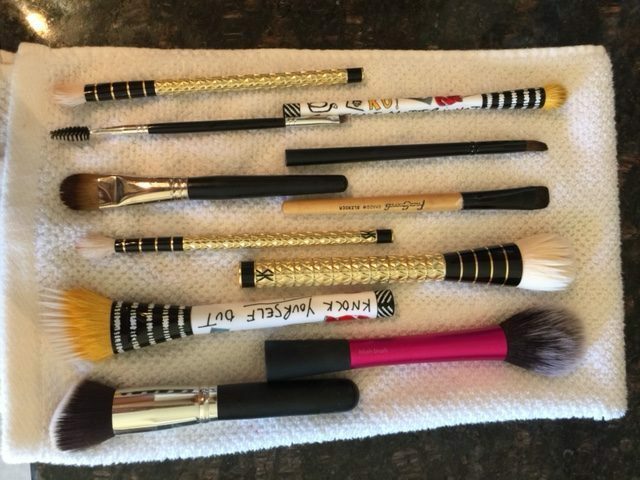 This is good for individual uses during the week, but cleaning your brushes and removing all of the makeup versus quickly sanitizing will ensure a cleaner, germ-free result. The mixture of your dead skin cells and the hot heat in your bathroom creates a perfect breeding ground for lots of bacteria. 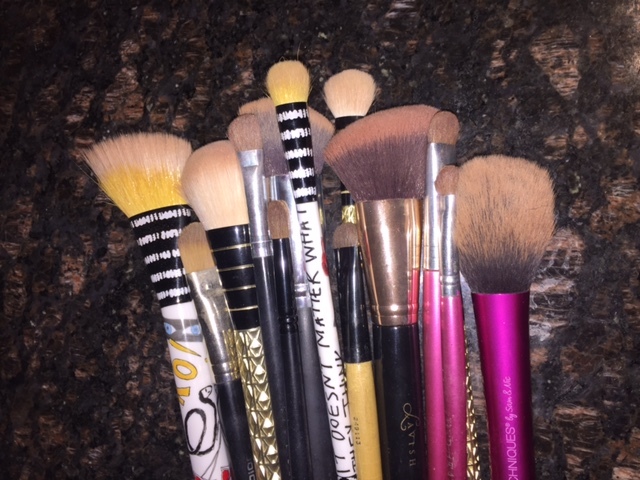 Keeping your brushes clean will help you avoid spreading that nastiness on your face. Bye-bye, break outs and itchy/flaky skin, hello clean and radiant beauty! Makeup is used to help enhance your natural beauty, so taking care of your skin is important. 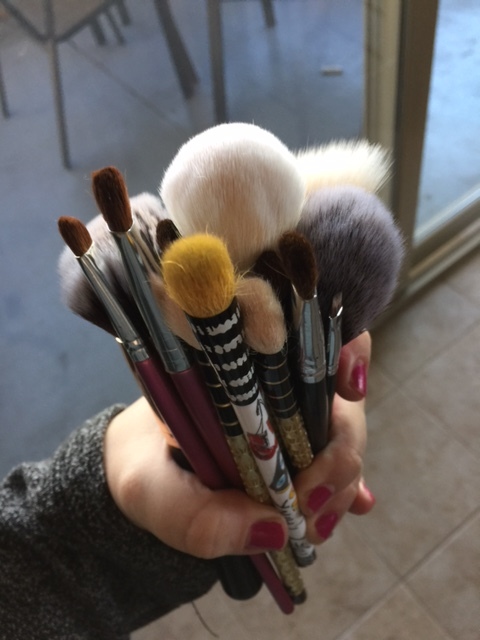 Keep you brushes clean! It’s is one of the easiest steps to keeping skin healthy and vibrant. Check out our post on taking care of your skin by using a lovely skin regimen, perfect for any Colorado beauty! Previous Post Evil Skewers, Correction, Ebelskivers!